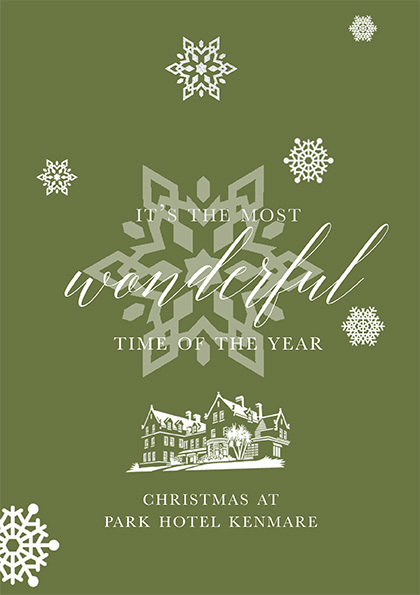 2018 saw a refresh of the Park Hotel Kenmare Christmas advertising material. Using the hotel’s lush green brand colour, we produced a brochure and print advertising featuring new photographs and text. The hotel wanted to create a luxurious and welcoming feel with an emphasis it’s renowned service. 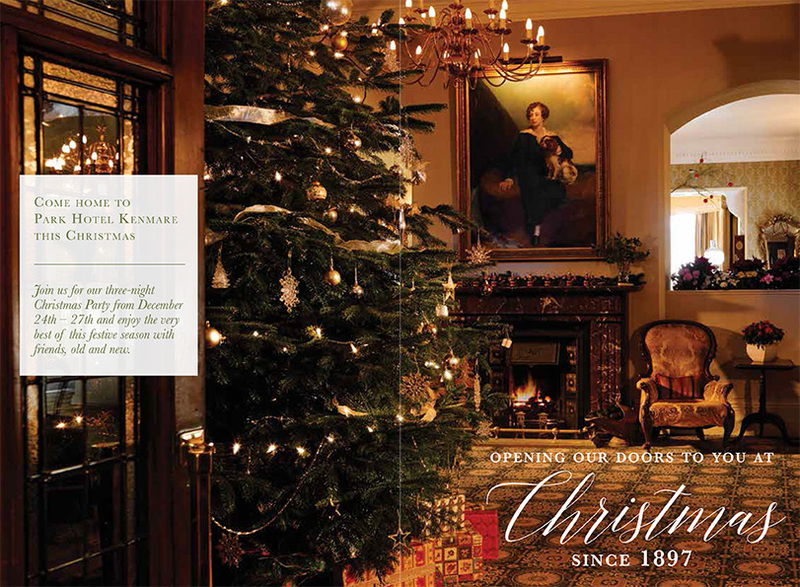 This lead to the gatefold design of the brochure to portray the opening of doors, setting the scene for potential guests and visitors. Printed on 240gsm uncoated card, folded to A5 size. 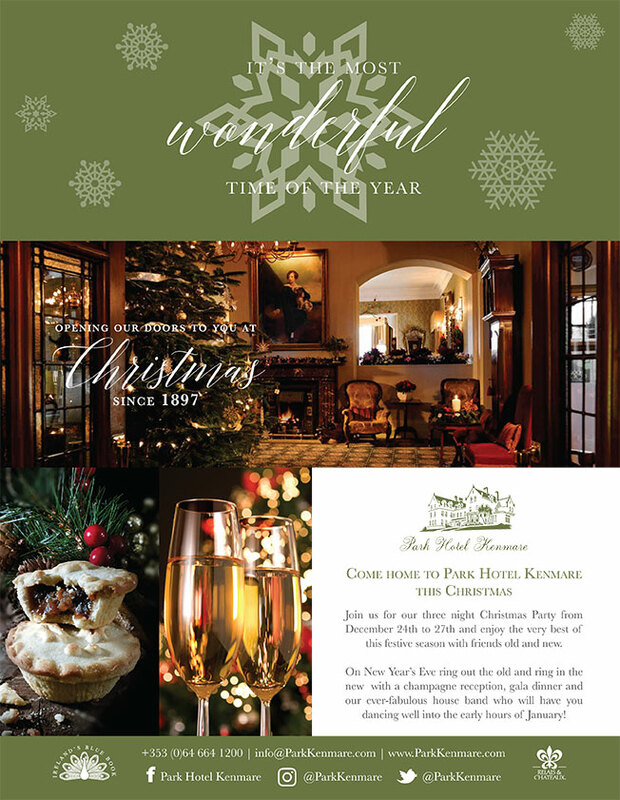 We also designed an advert to be feature in Image Magazine which retained the warm and sumptuous message of the brochure.